Day 1933 - Week 277 - Thursday 25th March 2010. Day 1933. Thursday 25th March 2010. 07.59 .. I’m on the road in Violet .. oop’s a little late. 14:30:00 Prepare to leave .. For hospital in Guildford ..
14.37 .. I’m finally on the road .. it’s wet and horrible and I meet two traffic jams .. the rest of the time I feel as if I’m driving close to the safe limit . .85 - 90 in the rain and spray isn’t wise really ..
15.45 .. I’m in Guildford .. just got to find a slot ..
15.55 .. I’m in the ENT waiting room .. I don’t have to wait long ..
16.45 .. I’m back at the car ..
17.35 .. I arrive at Linda’s and deliver her a PC for a mutual friend ..
18.33 .. I head for home ..
19.20 .. I order a Chinese take away ..
Day 1934. Friday 26th March 2010. 07.45 .. Up and at it ..
08.20 .. Time to shower .. but before I do I hope to encourage somebody else . .so I cleran the shower long wall from ceiling to the last 4 1/3 tiles at the bottom .. I live in hope ..
09.45 .. I’m fully dressed down stairs ready to go .. I quickly check my e-mails ..
10.02 .. I phone my mum and get her shopping list before I sort the car ..
10.28 .. I finally leave home ..
10.38 .. I arrive at Waitrose, thank goodness mum’s list isn’t too long ..
11.20 .. Back in the car heading for mums ..
11.38 .. I’m in my mums ..
12.05 .. I leave my mum’s thinking the M25 to A3 would be sensible route .. forgetting about Hind head .. DOH .. there’s a good 1 mile of queue to the lights ..
13.25 .. 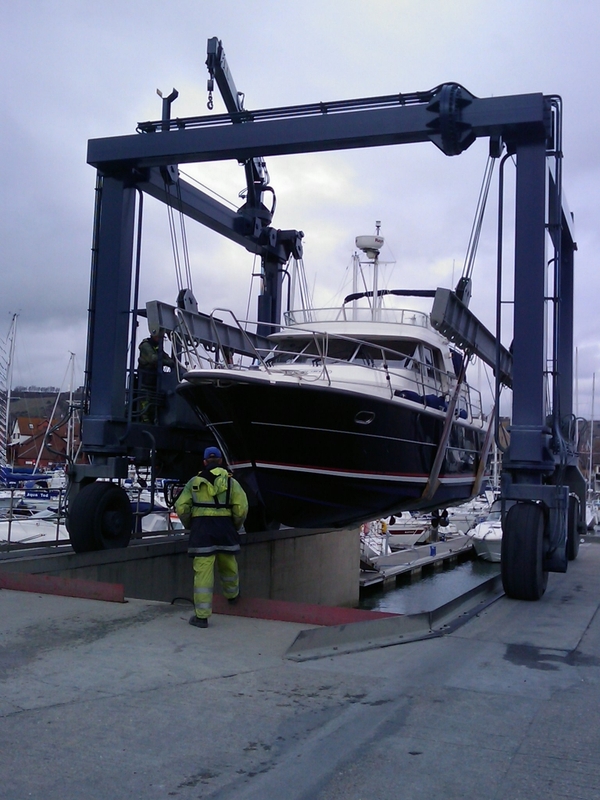 I arrive on the back road at Port Solent Marina just on time to see the boat being taken by trailer to the launching bay .. with Bob following in his car. I follow Bob into a car park and park along side him. 14.28 .. The boat floats out of the slings .. and is man handled backwards onto a pontoon so that some checks can be done ..
14.50 .. ish .. Bob goes to take a car to Gosport, leaving me to do some work on board .. however his female cousin and I start chatting .. well we chat a fair amount about me and what it is to be Transsexual .. and a lot about something else .. we both share the same worries and her husband does too. 16.35 .. We finally leave the pontoon .. and nearly collide with a boat astern of us, it’s only my repeated calls of “bow thruster to Port” that saved us making contact ..
17.00 .. ish .. We leave the lock at Port Solent and head across the lake to Gosport. The ride on the “new boat” is very different .. I sit below in the bridge with Bob’s cousin’s husband. It’s lovely and warm, and the view around is fantastic .. Bob and his cousin are on the flybridge, Bob’s feet maybe 3 - 4 feet from my neck .. This Nimbus 370 Coupe is at these speeds ( 7.8 knots at 1500 rpm ) a lot quieter than the old Grand Banks, well sitting down here. A problem follows .. the flybridge rev counters stop working .. hmmmm . .something to sort next week, Bob keeps asking me for engine speed as he tweaks the throttles up. 17.45 .. ish .. we are nearly along side the pontoon in Gosport Marina. Bob has a completely empty double berth on the “hammer head” to get into .. but he goes to neutral and just sits there short of the two berths, we need the furthest one .. the beam wind catches us and blows us into the entrance of the line of berths .. again I have to shout to Bob repeatedly “bow thruster to starboard” as Bob almost wraps us around the edge of the pontoon. It was just luck that as we shoot back into the fairway the stern missed the end of the pontoon by inches .. the fender on that Port quarter was actually lifted aside by the pontoon. 18.02 .. Bob’s cousins husband drives Bob and I back to Port Solent to collect our cars ..